Analysis: Since he was selected with the fourth overall pick in the 2016 draft, Elliott is the only player in the league with more than 1,000 touches (1,003, to be exact), through which he's produced 5,247 yards from scrimmage and 34 touchdowns in 40 games. Those numbers make the Cowboys' upcoming decision a no-brainer, especially with DeMarcus Lawrence's long-term extension out of the way. Aside from Lawrence and Elliott, the team also may seek to lock Dak Prescott and Amari Cooper into long-term deals. Analysis: Elliott hopes to sign a contract extension this offseason but won't apply pressure in the form of a holdout. He's technically entering the final season of his rookie contract, but it's a given that Dallas exercises the fifth-year option to keep him locked in through 2020. With defensive end Demarcus Lawrence (shoulder) signed for five years, the Cowboys now need to work out long-term agreements for Elliott, Dak Prescott and Amari Cooper. 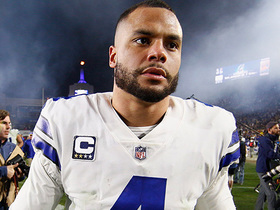 Elliott hopes to sign a contract extension before the 2019 season, Clarence Hill of the Fort Worth Star-Telegram reports. Elliott rushed 20 times for 47 yards and a touchdown in Saturday's 30-22 loss to the Rams. He added two catches (five targets) for 19 yards. Elliott carried 26 times for 137 yards and a touchdown during Saturday's 24-22 win over the Seahawks. He also caught four passes for 32 additional yards. Elliott isn't listed on the Tuesday injury report for Saturday's playoff game against the Seahawks. Analysis: Elliott was rested for a Week 17 win over the Giants, and while he's surely taken his fair share of bumps and bruises during a busy season, his availability for the playoffs was never in doubt. 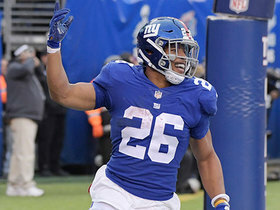 He's already feeling the benefit of sitting out the regular-season finale, saying Tuesday that he feels fresh and is ahead of his normal weekly schedule, per Todd Archer of ESPN.com. Elliott had 16 carries for 127 yards and three catches for 11 yards in a 24-13 road loss to the Seahawks in Week 3. Head coach Jason Garrett admitted Monday that injuries played a role in Elliott being made inactive for Sunday's game against the Giants, Jon Machota of The Dallas Morning News reports. "He's been banged up a little bit with different parts of his body. We just felt like it was the right thing for him to not be a part of it yesterday. I do think he'll be fresher going forward," Garrett elaborated. Elliott (coach's decision) is listed as inactive Sunday at the Giants, David Helman of the Cowboys' official site reports. Analysis: The decision follows a report from NFL Network's Jane Slater, who relayed earlier Sunday that the Cowboys were slated to rest Elliott in Week 17. 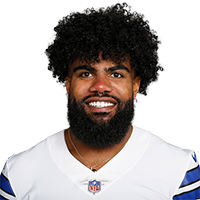 Elliott thus will end the 2018 campaign with 304 carries for 1,434 yards, 77 receptions (on 95 targets) for 567 yards and nine total touchdowns in 15 games. Among his replacements, Rod Smith may take on the larger share of snaps out of the backfield because Darius Jackson has yet to earn a carry or target as a pro. Elliott is expected to be rested for Sunday's game against the Giants, team sources tell Jane Slater of NFL Network. Elliott said he'll play in Sunday's game against the Giants, Kate Hairopoulos of The Dallas Morning News reports. 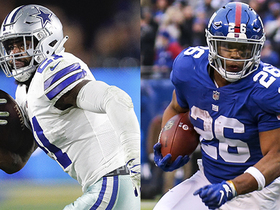 Cowboys owner Jerry Jones said Monday that the Cowboys will go "all out" in their Week 17 matchup with the Giants, suggesting Elliott will play in the contest, Jon Machota of The Dallas Morning News reports. Elliott rushed 18 times for 85 yards and brought in five of six targets for 24 yards in the Cowboys' 27-20 win over the Buccaneers on Sunday. He fumbled once but it was recovered by the offense. Elliott carried 18 times for 87 yards and caught seven passes for an additional 41 yards during Sunday's 23-0 loss to the Colts. Analysis: Elliott broke off some big gains as he averaged a respectable 4.8 yards per carry against an underrated Indianapolis front. He had a couple carries near the goal line, but he was stood up as the Cowboys failed to take advantage of numerous red-Zone opportunities. On a positive note, he was once again heavily involved as a receiver and now has 25 receptions over his last three games. He'll look to put on another workhorse performance in Week 16 at home against the Buccaneers. Elliott (shoulder) practiced in full Thursday, Rob Phillips of the Cowboys' official site reports. Analysis: This week, Elliott dealt with the aftereffects of a lowering the helmet penalty call that forced him to the sideline for a spell Week 14 against the Eagles, kicking it off with a limited showing at Wednesday's practice. After elevating to a full participant Thursday, Elliott is ready to follow up a 40-touch, 192-yard-from-scrimmage performance, though Sunday's matchup at Indianapolis brings with it the eighth-ranked run defense (102.9 yards per game). Elliott (shoulder) will participate in Thursday's practice, Jon Machota of The Dallas Morning News reports. Elliott was held out of practice Wednesday due to a shoulder injury, Calvin Watkins of The Athletic reports. "Just a maintenance day," Elliott told Jon Machota of The Dallas Morning News. "Just got a little sore shoulder. It's late in the season. I've had a lot of touches. Just trying to make sure I'm fresh for [Sunday's game against the Colts]." Analysis: After Elliott ripped up the Eagles for 192 yards from scrimmage in the Cowboys' Week 14 win, coach Jason Garrett relayed the running back was feeling fine as a result of a neck injury he suffered in the fourth quarter. Elliott was seen in sweats at the beginning of Wednesday's practice, though, creating questions about his health. He put them to rest with his comments afterward. Elliott has two more sessions this week to prove that the shoulder issue won't impact his upcoming availability. Coach Jason Garrett said Elliott doesn't seem to have any lingering issues from the neck injury he suffered during Sunday's 29-23 overtime win against the Eagles, David Helman of the Cowboys' official site reports. Elliott carried the ball 28 times for 113 yards, adding another 79 yards on 12 receptions (13 targets). 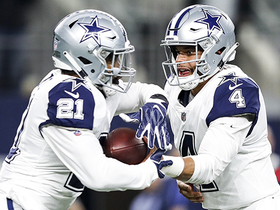 Elliott rushed 23 times for 76 yards and brought in all six of his targets for 60 yards and a touchdown in the Cowboys' 13-10 win over the Saints on Thursday. Elliott (hip) isn't listed on the injury report the Cowboys released following Monday's practice. Analysis: Per Kate Hairopoulos of The Dallas Morning News Elliott was rested Sunday due to some hip soreness, but the running back practiced without limitations Monday. That sets the stage for him to fill his usual high-volume role out of the backfield in the Cowboys' Thursday night matchup with the Saints in Week 13. Elliott was held out of practice Sunday to rest a sore hip but was back on the field Monday with his teammates, Kate Hairopoulos of The Dallas Morning News reports. Elliott carried 26 times for 121 yards and a touchdown Thursday against the Redskins. He also caught five passes for an additional 22 yards in the 31-23 win. Analysis: Elliott set season highs in carries and touches, finishing with a respectable 4.7 yards per carry against a solid Washington front. He also made an impact as a pass catcher, ranking second on the team in receptions while tying for second in targets. Elliott has been outstanding over the last three games, topping 140 scrimmage yards while finding the end zone in each contest. He'll look to keep up his outstanding form next Thursday against the Saints and their solid run defense. Elliott carried 23 times for 122 yards and a touchdown Sunday against the Falcons. He also logged seven catches for 79 yards in the 22-19 win. Elliott ran the ball 19 times for 151 yards and a touchdown in Sunday's 27-20 win over the Eagles. He added 36 yards and another score on six receptions. Elliot rushed 17 times for 61 yards and caught four of five targets for 51 yards in Monday night's 28-14 defeat to the Titans. Elliott rushed 15 times for 33 yards and added nine yards on two receptions in Sunday's 20-17 loss to the Redskins. Analysis: Except for the catch total, all of those numbers represent season lows for the stud running back. The Redskins clearly made it part of their game plan to contain Elliott, and they were successful. Nevertheless, the Ohio State product remains one of the game's elite backs. He'll have a bye week to rest up before attempting to rebound at home against Tennessee in Week 9. Elliott carried 24 times for 106 yards and a touchdown during Sunday's 40-7 win over the Jaguars. He also caught his only target for an additional 11 yards. Elliott carried 20 times for 54 yards during Sunday's 19-16 overtime loss to the Texans. He also secured all seven of his targets for 30 yards. Elliott (knee/ankle) said he was a full participant at Wednesday's practice and feels as good as he has all season, Jon Machota of The Dallas Morning News reports. "Honestly, this is the best Wednesday practice I've had," Elliott said. "It's the freshest I've felt any Wednesday. I did a good job coming in and making sure I got my treatment so I was ready to go. I'm good." Analysis: Elliott came out of Sunday's 26-24 win over the Lions with a couple minor injuries after piling up 240 scrimmage yards and reaching the end zone once across 29 touches. He apparently responded well to treatment the past couple days, leading to an unexpected full practice to kick off the week. Elliott should stay busy Week 5 in Houston, where he'll face a Texans defense that is allowing just 3.5 yards per carry and 94.3 rushing yards per game. Coach Jason Garrett said he expects Elliott (knee/ankle) to "do something" during Wednesday's practice, David Helman of the Cowboys' official site reports. Owner and general manager Jerry Jones said Tuesday that Elliott (knee, ankle) is "banged up, but not to the extent" he won't be able to play Sunday in Houston, Jon Machota of The Dallas Morning News reports. Analysis: Elliott emerged from a Week 4 win against the Lions with knee bursitis and a sore ankle, the result of a hefty workload. Referencing the 25 carries and four catches from that contest, Jones added, "I do want that kind of workload for him." In the end, Elliott compiled a career-high 240 yards from scrimmage and tacked on his third touchdown of the season. 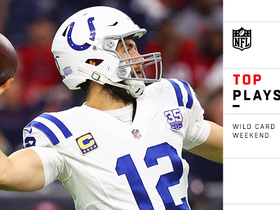 Wednesday's injury report will give the first indication whether the knee and ankle woes will impact his activity level during Week 5 prep. Elliott dealt with knee bursitis and ankle soreness during Sunday's 26-24 win over Detroit, but coach Jason Garrett expects the running back to be fine this week, Clarence E. Hill Jr. of the Fort Worth Star-Telegram reports. Analysis: Elliott didn't seem too bothered by the pair of minor injuries Sunday, piling up 152 yards on 25 carries along with 88 yards and a touchdown on four catches while playing through the final drive of the game. He may show up on the Week 5 injury report, but it doesn't sound like the Cowboys are worried about his availability for Sunday's game against the Texans. Elliott carried 25 times for 152 yards Sunday against the Lions. He also caught four passes for 88 yards and a touchdown in the 26-24 win. Elliott ran 16 times for 127 yards and caught three of eight targets for 11 yards in Sunday's 24-13 loss at Seattle. He also lost a fumble. Elliott rushed 17 times for 78 yards and one touchdown during Sunday's 20-13 victory over the Giants. He also secured five of six passes for nine yards. Elliott carried 15 times for 69 yards and a touchdown Sunday against the Panthers. He also caught three of four targets for 17 additional yards in the 16-8 loss. Elliott believes his disappointing 2017 campaign has led to an improvement in his focus and intensity heading into the upcoming season, David Moore of The Dallas Morning News reports. "The chip on my shoulder is just not having a full year last year and not performing the way I believe I could have," Elliott said. Elliott is not slated to play in Sunday's preseason game against the Cardinals, David Moore of The Dallas Morning News reports. Elliott is unlikely to play in Sunday's preseason game against the Cardinals, Clarence E. Hill Jr. of the Fort Worth Star-Telegram reports. According to Cowboys owner Jerry Jones, it hasn't been determined whether Elliott will play in next Sunday's third preseason game against the Cardinals, Clarence Hill of the Star-Telegram reports. Analysis: Elliott is yet to feature this exhibition slate as he gears up for another action-packed regular season. 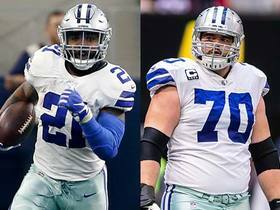 While he recently said he'll likely play in some capacity in next weekend's dress rehearsal, injuries to starting linemen Zack Martin (knee) and Travis Frederick (neck) would now offer him substandard protection. That situation could force Dallas to consider whether playing Elliott is worthwhile, leaving his status to be tracked in the coming week. Elliot said he'll likely play the first possession of the Cowboys' third preseason game Sunday, Aug. 26 against the Cardinals, Kate Hairopoulos of The Dallas Morning News reports. Analysis: In essence, Elliot expects to replicate his exhibition workload from a season ago. The decision comes down to one of health as he prepares to handle a massive workload for the third consecutive season. In the first two, he averaged 23.6 and 26.8 touches per game, so his bell-cow status really isn't in question. Elliott looks quicker and leaner at training camp this year, Clarence Hill of the Fort Worth Star-Telegram reports. "You go at this time last year, he's very stressed out," Cowboys running backs coach Gary Brown said. "Wasn't himself. Looked big. Now he looks happy and jubilant and lean and just going out there and having some fun. So it's a completely different Zeke than it was last year." Elliott may take on a larger pass-catching role to help compensate for the offseason departures of Dez Bryant and Jason Witten, Jon Machota of The Dallas Morning News reports. Elliott carried the ball 27 times for 103 yards while adding three catches for 38 yards in Sunday's 6-0 win over the Eagles. Analysis: Very little went right for either offense in this one, but Elliott still came through with his fifth 100-yard rushing performance in 10 games and fell just 17 yards shy of another 1000-yard season. Assuming he stays out of the league's disciplinary crosshairs in 2018 and avoids another suspension, Elliott should be primed for a very productive campaign as the centerpiece of the Cowboys' offense. Cowboys head coach Jason Garrett confirmed that Elliott would play Sunday against the Eagles, Clarence E. Hill Jr. of the Fort Worth Star-Telegram reports. Elliott ran for 97 yards on 24 carries against Seattle on Sunday, adding four catches for 21 yards on seven targets. Cowboys offensive coodinator Scott Linehan said Elliott would receive "significant touches" in the running back's return from a six-game suspension Sunday against the Seahawks, Jon Machota of The Dallas Morning News reports. Elliott (suspension) was reinstated to the 53-man roster Friday, Field Yates of ESPN reports. Analysis: Elliott returned to practice Wednesday and appeared to take part in every drill, likely setting him up for his usual three-down role Sunday against the Seahawks. Cowboys head coach Jason Garrett did suggest Elliott will need to prove he's ready for his full allotment of snaps, but there's no real reason to believe that Elliott failed to do so the past few days. Elliott (suspension) returned to practice Wednesday, Todd Archer of ESPN.com reports. Cowboys head coach Jason Garrett said Wednesday that he wanted to see how Elliott (suspension) performed in practice this week before committing to using the running back in a full-time role Sunday against the Seahawks, Todd Archer of ESPN.com reports. The Cowboys moved Elliott from the reserve/suspended list to the reserve/exempt list Monday, David Helman of the Cowboys' official site reports. Elliott is scheduled to report to the Cowboys on Monday when his six-game suspension comes to a conclusion, Ian Rapoport of NFL Network reports. Elliott is withdrawing the appeal of his six-game suspension, Ian Rapoport of NFL Network reports. Elliott, whose six-game suspension is set to begin with Sunday's game against the Falcons, plans to leave the United States for the next few weeks to clear his head and train, Ian Rapoport of NFL Network reports. The Second U.S. Circuit Court of Appeals in New York set a hearing date of Dec. 1 for Elliott's expedited appeal, Kate Hairopoulos of The Dallas Morning News reports. Elliott's six-game suspension was reinstated Thursday after his motion was denied by the Second U.S. Circuit Court of Appeals in New York, Drew Davison of the Fort Worth Star-Telegram reports. Analysis: Unlike past weeks, Elliott may not have enough time to string out the legal situation in time to play Sunday in Atlanta, which would result in him missing his first game of the season. If the suspension indeed holds entering the weekend, the Cowboys backfield will likely be led by Alfred Morris, with Rod Smith and Darren McFadden pitching in. Elliott would be eligible to return for the Cowboys' penultimate regular-season contest Dec. 24 against the Seahawks. Elliott will miss Thursday's practice in order to attend a hearing in front of the Second U.S. Circuit Court of Appeals in New York, Kate Hairopoulos of The Dallas Morning News reports. Elliott is set to practice Wednesday, but will likely miss Thursday's session to head to New York and attend oral arguments in the hearing for his request of an injunction to overturn his six-game suspension, David Moore of The Dallas Morning News reports. The Second Circuit Court of Appeals has scheduled the hearing for Elliott's request of an injunction to overturn his six-game suspension for Thursday at 2 p.m. EDT, Adam Schefter of ESPN reports. Elliott carried 27 times for 93 yards in Sunday's 28-17 win over the Chiefs. Cowboys head coach Jason Garrett said Friday that he doesn't believe it will be difficult for Elliott to get back to full speed in time for Sunday's game against the Chiefs, Todd Archer of ESPN.com reports. Elliott returned to practice Friday after the United States Court of Appeals for the Second Circuit granted a temporary stay on his six-game suspension earlier in the day. The United States Court of Appeals for the Second Circuit granted Elliott a temporary stay of his suspension Friday, making him eligible to play in Sunday's game against the Chiefs, Dan Graziano of ESPN.com reports. Elliott will be able to play against the Chiefs on Sunday after the Court of Appeals 2nd Circuit granted him an administrative stay Friday morning, Adam Schefter of ESPN reports. Analysis: The back and forth continues, as it previously seemed that Elliott would finally begin his six-game suspension this Sunday against the Chiefs, but yet another procedural workaround will allow him to continue playing. The NFLPA requested a stay from the Second Circuit court Wednesday to allow Elliott (suspension) to play Sunday against the Chiefs, Kate Hairopoulos of The Dallas Morning News reports. Analysis: The move is a last-ditch effort to give Elliott a chance to be on the field Week 9 while the appeal of his six-game suspension is heard by the Second Circuit. As everything lines up at the moment, though, the Cowboys are preparing for life without Elliott, as Alfred Morris received the first snaps with the first-team offense at Wednesday's practice, per Todd Archer of ESPN.com. Behind Morris, Darren McFadden and Rod Smith are also expected to have roles out of the Cowboys backfield. The NFLPA is expected to file an emergency motion with the Second Circuit on Wednesday to appeal Elliott's six-game ban, which was reinstated Monday after a federal judge rescinded a temporary restraining order on the suspension, according to Albert Breer of TheMMQB.com. 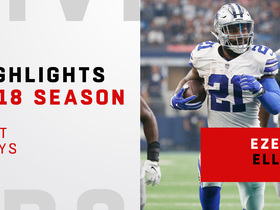 Watch Dallas Cowboys running back Ezekiel Elliott's best plays from his 2018 season. 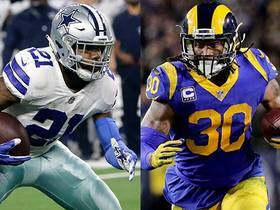 The "Good Morning Football" squad chats about whether it is tougher to gameplan for Dallas Cowboys running back Ezekiel Elliott or Los Angeles Rams running back Todd Gurley. 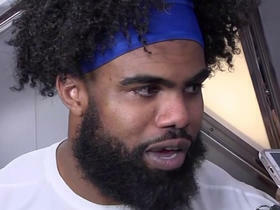 Cowboys running back Ezekiel Elliott discusses his team's playoff win against the Seattle Seahawks. NFL Network's Jane Slater previews the Dallas Cowboys Week 17 matchup vs. the New York Giants. NFL Network's Jane Slater discusses the latest on the Dallas Cowboys' game plan for their Week 17 matchup vs. the New York Giants. Hear the best sounds mic'd up from Dallas Cowboys running back Ezekiel Elliott in his Week 16 win against the Tampa Bay Buccaneers.